A balanced diet is essential for healthy hair. Is there a specific diet for healthy hair that will give you the radiant, glistening, fabulous locks you desire? While there are many theories out there worth trying, what you choose to eat on a daily basis does in fact impact what you see in the mirror. Perhaps you have heard that ancient saying, "You are what you eat." Come to find out, the health of your hair is a reflection of the foods you typically choose to eat, or not eat for that matter. A deficiency of any one of the several vitamins and minerals essential for our well-being can determine many aspects of hair health including growth rate, stability, scalp health (dandruff), and hair loss. The secret to a diet for healthy hair is to optimally support the hair follicles by supplying them with the nourishment they need to thrive. Eating three balanced meals a day that include whole fruits, vegetables, lean protein such as poultry, fish, eggs, legumes, soy, and lean cuts of beef, whole grains, unsaturated fats, and low fat dairy products will ensure that all nutrient requirements are met. In addition, reducing or eliminating the amount of processed, refined foods, such as the "junk" foods we are surrounded with, greatly enhances the chances that hair will be as healthy as can be. Hair is made of keratin, a type of protein. In would follow suit, therefore, that a diet for healthy hair would inevitably command protein. This is absolutely true. However, our western diet is seldom deficient in protein and in most cases does not need to be dramatically altered to ensure an adequate intake. Most Americans get plenty of protein, even if they are not following a high-protein diet such as Atkins. Even vegetarians get the required amount of protein through whole grains, legumes, and soy products. If you are concerned that your protein intake is low, adding the lean proteins mentioned above, along with wheat germ, nutritional yeast, and calves liver will maximize hair growth and strength. 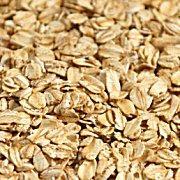 Whole grains have many necessary vitamins. B-Complex: prevents hair loss; responsible for cellular growth and repair; found in poultry, lean beef, fish, whole grains, nuts, seeds, nutritional yeast, green leafy vegetables, fortified foods (especially for B12 sources). Beta-carotene: antioxidant; prevents hair loss; responsible for synthesis of protein; found in green, yellow, and orange fruits and vegetables, sweet potatoes, parsley. Biotin: also known as vitamin H; deficiency can cause itchy and scaly scalp; found in whole grains, molasses, nutritional yeast, nuts, fish, egg yolks, dairy products, meats. Vitamin C: antioxidant; involved in capillary health; helps with iron absorption; found in most fruits and vegetables, parsley. Vitamin E: antioxidant; involved in cellular repair, protein synthesis, and circulation; found in egg yolks, avocados, almonds, wheat germ, whole grains, sesame oil and seeds. Iron: prevents hair loss and pigmentation; found in dried fruits such as apricots and figs, red meat, green leafy vegetables, red kidney beans, and whole grain cereals; absorption enhanced when eaten with vitamin C-rich foods. Copper: responsible for hair color and helps with utilization of iron; found in shellfish, nuts, seeds, nutritional yeast, and mushrooms. Zinc: helps to prevent hair loss and dandruff; found in shellfish, brown rice, almonds, lentils, and herring. 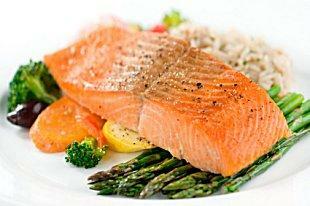 Essential fatty acids, such as omega-3, have been in the spotlight for all their heart-healthy benefits. These compounds have been reported as playing a key role in hair quality as well. Be sure to get plenty of foods rich in these powerful unsaturated fats, such as salmon, mackerel, tuna, flaxseed oil, walnuts, almonds, and avocados. Iodine is necessary for the thyroid gland which is responsible for the production of many regulatory hormones. It is widely believed that an overactive thyroid leads to limp, oily hair, while an under active thyroid produces dry, frizzy hair. An iodine deficiency may affect the latter so be sure to include iodine-rich foods in your diet for healthy hair. Examples include iodized salt, seaweeds, fish, and shellfish. It is also important to note that any strict diet for losing weight can hinder the health of hair. Many crash diets and fad diets lack the nutrients essential for good health. Deficiencies that lead to poor hair health can be found in persons with eating disorders as well, such as anorexia nervosa. While no diet is perfect, finding a reputable, quality multivitamin is generally an advantage to your health. On the other hand, mega-dosing on a few select nutrients claiming to improve the look of your hair is not advisable without a recommendation from your medical doctor. Besides a vast array of vitamin and mineral formulas promoted as hair enhancers, there are many herbal blends marketed as such too. Keep in mind that these blends are typically not approved by the Food and Drug Administration for stimulating hair health, but rather sold as dietary supplements. It is a trial and error course to take when considering supplements to add to a diet for healthy hair, and only you can attest to the result.